Lock in a great price for Pension Marylou - rated 9.6 by recent guests. Great location with very helpful staff. Very good and fresh breakfast. We had the possibility to prepare fresh juice. Very big and comfortable room. The staff were extremely friendly and helpful, the breakfast very varied and good, the room spacions and comfortable. Good bathroom. The pensiune is well situated and easy to find, within easy walking distance of the centre. Clean, quiet and comfortable. Safe private parking. Walking distance to citadel ald old city. Location, great breakfast, staff friendly, big room, clean. The rooms are large and comfortable. The breakfast is plentiful, with selection of fresh juice, eggs made to order, etc. Staff is very friendly and helpful. Wifi is fast. There is private parking large enough for mini vans. The pension is 15 mins walk from the old city and 5 mins walk from main pedestrian street. Situated in a residential area, Pension Marylou offers spacious rooms with free WiFi, just 0.7 miles away from Alba Iulia’s historic area and the Roman Catholic Cathedral. 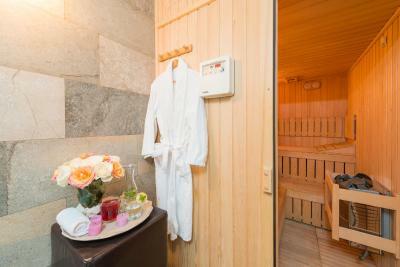 The air-conditioned rooms of Marylou Pension are decorated with classical wooden furniture. All rooms have a seating area with a sofa, a work desk, and a private bathroom with a bathtub, bathrobes, slippers and free toiletries. Guests can start their day with a breakfast at Pension Marylou’s restaurant. 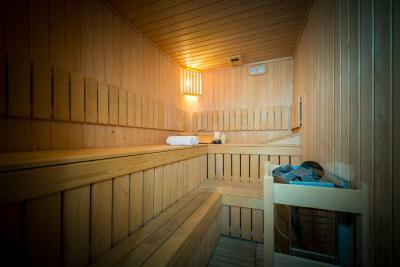 Pension Marylou also offers a sauna, laundry facilities, car rental, and an airport shuttle for a surcharge. Free private parking is available on site. Alba Iulia’s historic area is a 15-minute walk from Pension Marylou, and features the Batthyaneum Library, the Orthodox Cathedral, Union Hall, Apor Palace, and the Princely Palace. 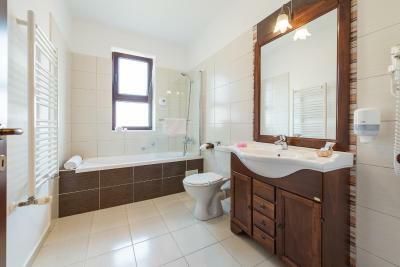 This property is also rated for the best value in Alba Iulia! Guests are getting more for their money when compared to other properties in this city. Pension Marylou has been welcoming Booking.com guests since 10 Nov 2010. When would you like to stay at Pension Marylou? This spacious room features air conditioning, free WiFi, a minibar and a private bathroom with a bathtub, hairdryer and free toiletries. This twin/double room features a minibar and seating area. House rules Pension Marylou takes special requests - add in the next step! Pension Marylou accepts these cards and reserves the right to temporarily hold an amount prior to arrival. Please note extra bed rates vary according to season. If arriving with children, please inform the property in advance about their number and respective ages. You can use the Special Requests box when booking or contact the property. Please inform Pension Marylou in advance of your expected arrival time. You can use the Special Requests box when booking, or contact the property directly with the contact details provided in your confirmation. That we stayed only one night, but we will come back soon. It was cozy and the staff very nice and polite. There was only one chair in the room. The WC developed a problem and the cistern refilled very slowly. One of the best places we stayed in Romania. Small boutique hotel - very recommended. It's a little far away from downtown if you want to go by walking. Relative noise area because of neighbors dogs (especially during night tine) and also traffic. Otherwise, everything was more than ok.